I have been a hungry student of the movement arts for over 30 years. I began my professional career as a dancer, choreographer, and dance teacher. (For more on that, please go to SheriCohenDance.com.) In 1990 I stumbled into my first Feldenkrais® Awareness Through Movement® class, and I was changed forever. I completed my professional training in Feldenkrais Method® in Strasbourg, France, 2000, with trainers Elizabeth Beringer and Dr. Lawrence Goldfarb. I am an Assistant Trainer of the Feldenkrais Method, which allows me the privilege of teaching aspiring practitioners in certified training programs. I am a certified member of the Feldenkrais Guild®, and I have conducted classes, workshops, and individual sessions in the Seattle area since 1998, where my students are musicians, dancers, moms, meditators, runners, typists, bus riders, children, and all versions of human being. Despite being a longtime yoga skeptic, I eventually could not suppress my curiosity about the rising tide of yoga offerings in the ‘90’s. 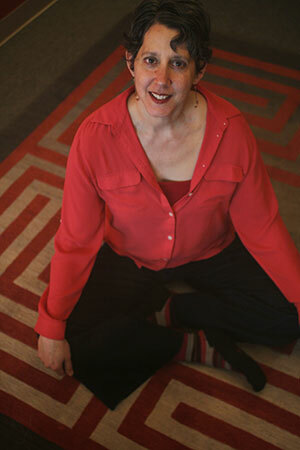 I found Denise Benitez at Seattle Yoga Arts, and was won over by Denise’s approach. To learn more, I became Denise’s teaching assistant, and from there began teaching my own classes. I love connecting with my yoga students through breath, awareness and movement. My background in dance, Feldenkrais, and Anusara yoga informs my yoga teaching. The buoyant community of students who attend them weekly at Lotus Yoga inspire them. I am a registered yoga teacher, RYT-200. For twenty years I choreographed and taught contemporary dance, with a special interest in movement improvisation. My current dance practice (and, thus, my teaching) includes Contemplative Dance Practice (from Barbara Dilley) and Tuning (from Lisa Nelson), among other influences. I am inspired and supported by my husband, David Knott, music therapist, improviser and all-around creative soul, and by our amazing daughter.